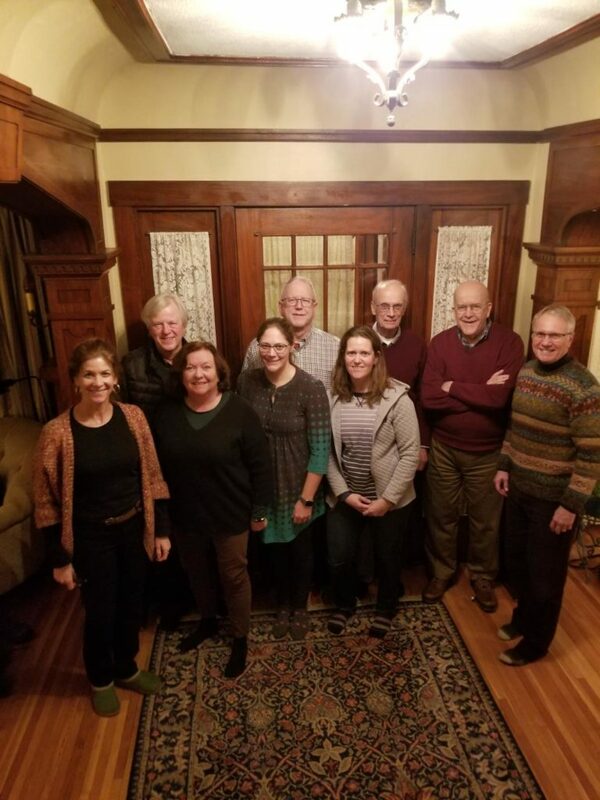 The Summit Avenue Residential Preservation Association (SARPA) is dedicated to the preservation of Saint Paul’s historic Summit Avenue as a residential neighborhood. SARPA was commissioned in 1986 by Mayor George Latimer and the St. Paul City Council to preserve the residential quality of Summit Avenue for future generations. SARPA generally meets on the first Monday of each month. SARPA also hosts an annual meeting, and a variety of events that involve tours, outings or guest speakers. The SARPA newsletter, Preservation Press, is issued periodically. SARPA is a 501(c)3 non-profit organization. Tax-deductible donations may be made to SARPA through our fiscal agent, Historic St Paul. For frequently updated information about Summit and SARPA happenings, check out our blog and our Facebook page. Carolyn has been a SARPA member since 2009. In addition to her community activities, Carolyn is the principal owner of CW Marketing & Communications. Her favorite event on Summit Avenue is the Garden Stroll. She has lived on Summit with her husband, Daniel McGrath, and two children since 2002. Since they moved on to Summit Ave, Carolyn has enjoyed learning the history of the avenue and has a goal of tracking down the details of their house. Francis has been a board member since 2008 and was elected Treasurer in 2013. He has also been a member of the Rotary Club of Saint Paul for 36 years. A CPA by background, he owned and operated boat manufacturing companies for over 20 years. He lives on Summit Avenue with his wife and daughter. Claire has been a SARPA board member since 2016 and was elected Secretary in 2017. Claire is a Special Education teacher and has lived on Summit Avenue with her husband and two daughters since 2015. They feel lucky to be part of the history of caretakers of their 1905 home, and enjoy working to preserve the history of their home and all of Summit Ave.
Katherine is a 36 year resident and property owner at 1894 Summit Ave. Ms Cairns is a health care consultant working with physician organizations and non-profit organizations. She has a masters degree in public health from the University of Minnesota and a masters in business administration from the University of St. Thomas. Tom was part of the group that worked to create SARPA and was a member of its first board of directors. He rejoined the board several years ago. Tom moved into the Ramsey Hill neighborhood in 1978 and has lived on Summit Avenue for over thirty years. He has a bachelor’s degree and a law degree from the University of Minnesota and practiced law for forty years. He is now retired. Wendy joined SARPA in 2018 and moved onto Summit Ave in 2008. She helps to coordinate a volunteer program which puts college students into the classrooms at Ramsey Middle School (1700 Summit Ave) and is concerned with pedestrian issues in the neighborhood affecting all students. Bob has been a SARPA Board member since 2017. He is a retired business executive following a 38 year career in human resources management. He and his wife Susan relocated from England in 2016 and chose to live on Summit Avenue due to its unique and historical heritage within the city of St. Paul. Kit has been a board member since 2010, and previously served as vice president and membership chair. A resident of Saint Paul since 1997, he also has served on the board of Ramsey Hill Assn. and volunteered with Twin Cities nonprofits. Until 1997, he was Vice President-Public Affairs for Continental Grain Co. in New York. He holds a BS degree from Marquette University, Milwaukee WI. Harry has been has been a SARPA board member since 2008. He is an attorney and is especially interested in assuring that changes in zoning and other regulation continue to assure the beauty and interest of Summit Avenue. Rachel was on the SARPA board as treasurer during the early 1990’s. In 2010 she rejoined the board as a SARPA representative on the West Summit Neighborhood Advisory Committee (WSNAC) at the University of St. Thomas and has served as co-chair of this committee since September 2010.